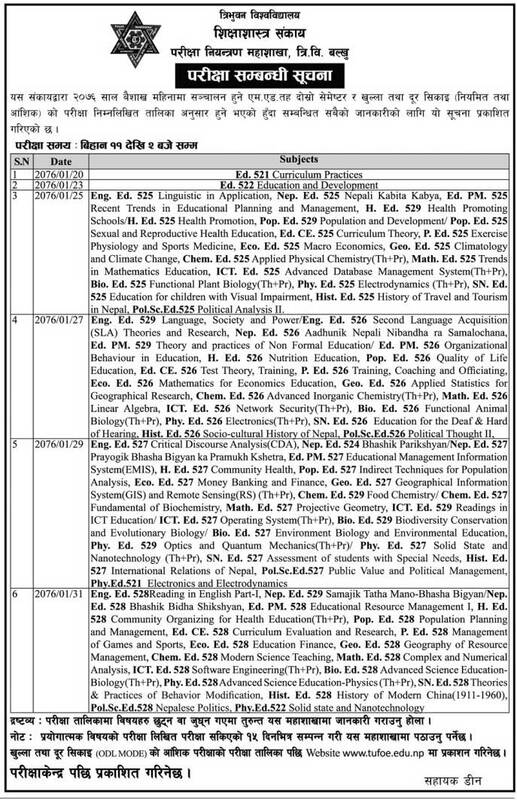 Tribhuvan University, Faculty of Education, Balkhu has published the examination routine of Master of Education (M.Ed) Secon Semester Open and Distance Learning (Regular as well as Partial). The examination will start from 2076 Baishakh 20. Examination Time: 11 AM to 2 PM.